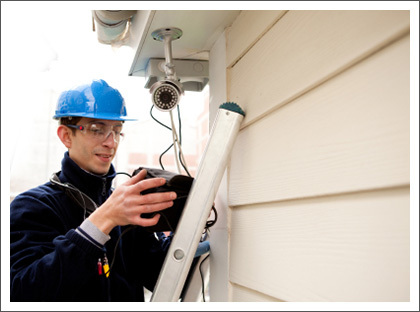 Alarm-24 in Los Angeles, CA is an alarm installation and monitoring company. Alarm-24 was established in 1979 by current president and owner of the company in the heart of Los Angeles. It was not easy at first. During the first few years, owner and one other technician had to work overtime to keep up with its demands and to balance company expenses. During these first few years, he concentrated only on one thing in his mind: ‘Quality Service’. He quickly realized that quality service brought him more customers and more customers soon made him an owner of a well-established security company in Los Angeles. Soon he decided to build a state-of-the-art 24-hour central monitoring station to better serve his customers. By having in-house monitoring station, it made customers easier to communicate with our operators and receive customized services based on their needs. Also, customers were able to obtain better and faster service, since our technicians were fully aware of the problems before getting dispatched to the premises. Today, Alarm-24 has become one of the largest Korean-American owned security companies in the nation. Many accomplishments were established through many years of experience, knowledge and professionalism. Our customers agree that Alarm-24 provides quality, dependable service. That’s the main reason why many of our customers are through referrals. Alarm-24 has a bright future ahead. With the strong foundation of the company with professional and well trained staffs, Alarm-24 will continue to lead the security industry with the sophisticated system and quality service. You can depend on us for your security needs! Copyright © 2018 Alarm-24. All rights reserved.